Patrick Hruby: Misguided or Just Clueless? Confused by current criticism of National Collegiate Athletic Association amateurism? Not to worry. 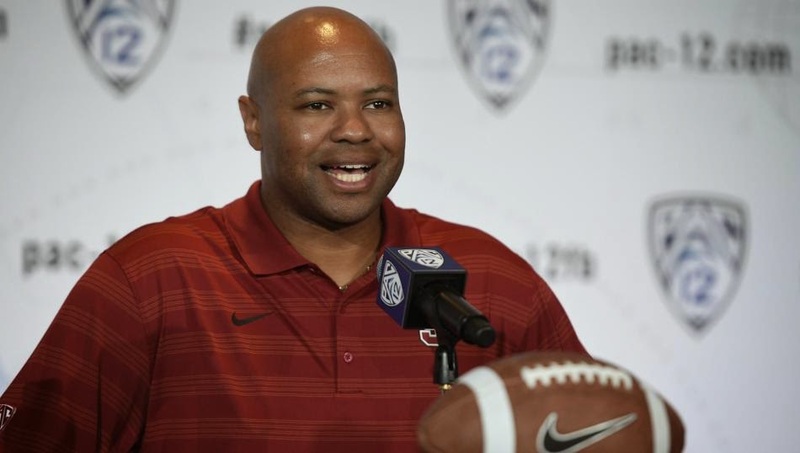 David Shaw is here to help. I think where people don't completely understand it, is that there is a hard line in the difference between unionization and paying players and using the player's image. Those are two completely different worlds. Actually, Northwestern University football players asking the National Labor Relations board to be considered school employees in order to potentially unionize and collectively bargain and other former and current football and men's basketball players suing the NCAA in federal court in order to be allowed to be compensated for their names, images and likenesses are not two completely different things. To the contrary, they are two complementary ways of achieving the same goal: Replacing the NCAA's collusive, unilateral, wage-fixing control of the major college sports labor market with the same sort of healthy competition for skills and services -- and freedom to negotiate compensation and workplace conditions -- that everyone else in America already enjoys and takes for granted. Including college football coaches. Such as David Shaw. Who made a reported $2 million in 2012. Or his predecessor, Jim Harbaugh, who had a luxury bathroom and shower installed in his office at a cost of $50,000-$70,000. I don't believe at all that we should be paying student-athletes. I think they should remain student-athletes. I think they should remain amateurs. The term "student-athlete" is a legal fiction invented by the NCAA and its member schools in the 1950s in order to avoid paying workers' compensation to injured football players and members of deceased football players' families. Likewise, "amateur" is a groundless term that always has meant whatever the NCAA says it means -- at one point in the 1950s, the same athletic scholarships schools now given as compensation for on-field performance were considered verboten, while in the 1960s, monthly "laundry money" cash payments that currently would count as amateurism violations were totally acceptable. So yes, Shaw is right to use the word "believe" -- a word also frequently used when discussing Santa Claus and the Easter Bunny. I do think we should do more for them and make their lives better, which I'm excited about doing. Hi, Coach Shaw? You want me to play for you at Stanford? OK. I'm the top high school quarterback on the West Coast. Southern Cal is offering me $50,000. Oregon is going to give my mom a job. How about you do both? Paying market wages -- now that's exciting! I think there are a lot of things that we have to work on with players' images and what they can do with their own image and what we can do with their own image, and that is going to bear out in the courts. Oh, really? What kind of "work" does the NCAA have in mind, besides hiring lawyers to ensure that schools, administrators and coaches -- Shaw's "we" -- continue to monopolize control over any and all income derived from player names, images and likenesses, most notably through game broadcast contracts? A lot of people have mixed all those things in together, but I think there is hard line between those two worlds. One is truly an individual thing, 'This is my face. This is my body. This is me, and no one should be able to make money off my image.' And I completely understand that. When Shaw repeats the terms "different worlds" and "hard line," here's what he's getting at: The Ed O'Bannon plaintiffs are asking a federal judge for an injunction that would allow college football and men's basketball players to receive compensation beyond the value of athletic scholarships though a) selling their names, images and likenesses (NILs) to third parties, like video game makers; b) getting a cut of the money networks pay the NCAA and schools to broadcast games featuring the same NILs. The first market is worth millions. The second is worth billions. Due to the vagueness of current NIL law in the context of sports broadcasts and the legal peculiars of the O'Bannon case, there's a decent chance the plaintiffs could win on third party payments and lose on broadcast revenues. Since the NCAA's goal is to keep as much money and power as possible, it's in the interest of Shaw and others to draw a semantic, imaginary "hard line" between one way of getting paid and another way of getting paid, because, you know, the sanctity of amateurism. Moreover, the O'Bannon lawsuit plaintiffs aren't arguing that no one should be able to make money off athletes' images. They're arguing that athletes should be able to share in -- and have a say over -- the money already being made off their images. Big difference. But at the same time, you're a student-athlete. If we're going to pay for your education, if we're paying for your schooling, if we're paying for room and board and if we're paying for all those other things -- to say that we need to pay you more money on top of that just because we have a TV contract, to me, is a little bit different because now you're skewing what they're there for, which is to play great football, yes, but it's also is to go to school to learn and to learn how make a living. 1. Shaw's program is not an academic charity bestowing scholarship gifts upon needy students who just happen to be good at blocking and tackling -- it's a major college football team that procures the blocking and tackling services of elite high school athletes by paying them with tuition, room and board. 2. Again, no one is saying that Stanford or any other school needs to pay athletes anything. However, if those same schools were free to pay athletes -- and, like Stanford, valued "playing great football" -- they likely would pay something, because that's what happens in markets where rivals freely compete for talent. 3. Lots of people go to school and work at the same time; many of them have campus jobs. Are those people somehow "skewed" or less there to learn than anyone else? I've been saying this for years: It's our job to teach them how to make a living at the university and not to give them their living at the university. Then, we're not teaching the proper lessons at the school. "Proper lessons?" Please. Shaw isn't Richard Feynman. He isn't even an English department adjunct. He's a football coach. His job is to win football games. And football games are not an academic activity. No class credit is awarded; advancing to the Rose Bowl does not count toward anyone's major. If Shaw's actual job was teaching players how to make a living, he would be fired immediately, and his $2 million salary would be used to hire a dozen computer science professors with connections in nearby Silicon Valley. As for "giving them their living?" No. Allowing players to receive more than a scholarship in exchange for playing football would not involve giving. It would involve earning. Blood, sweat and concussions in. Cash out. Not that complicated. [Classifying college athletes as employees] would change everything. You could make the arguments that you're the student-athlete, so you work for the university now: 'Why am I still going to school here? I'm an employee just like the professors, and I need to put more time into my craft now because I'm being paid for it and less time for my school work,' and we don't want that. Shaw is right. You could make that argument, same as you could argue that Yetis are real. Of course, there's no supporting evidence for either. To the contrary, lack of money is one of the main reasons people drop out of college. Moreover, elite college athletes already put a lot of time into their sports -- sometimes 50 or more hours a week, according to testimony in the Northwestern NLRB case. Class and homework time can be lost in the process. Would allowing those athletes to be compensated more generously for something they're already doing really affect their study habits? Especially when poor classroom performance would affect their eligibility, and with it, their ability to earn money from their campus football-playing jobs? (If the NCAA is truly worried that allowing athletes to be paid will incentivize them to study less, then perhaps they should predicate said payments on maintaining a particular grade point average and/or progress toward a degree. Voila! Problem solved). Another question: If Shaw is so worried about precious school time being spent on football, why doesn't he limit practice to two days a week, cut Stanford's schedule to eight games and decline all postseason bowl invitations? We need to hold ourselves to that 20-hour-a-week [rule], absolutely, but you need to use that other time to make sure that you're still going to school, still going to classes, still making sure that you're still learning and growing as a student because we all know there's such a small percentage of these people who are going to go on and become professional athletes. We need to make sure that these young people are being educated. We need to put the emphasis back on school. Not to put the emphasis more on football because there's money to be made. That's the exact wrong approach to take. Wonderful. Sounds like Shaw is ready to follow my above suggestions, and also ask that most of his salary instead be spent on professors. Perhaps he'll even resign, apply for a classroom teaching position and volunteer to coach on the side, just for the love of the game. Perhaps everyone else in Stanford's athletic department will follow suit. Less emphasis on sports and money. More on school. The exact right approach to take! My stance is, 'Let's hold the universities accountable. Let's hold the conferences accountable. Let's hold the student-athletes accountable to graduate on time.' That's where our emphasis needs to be. Not just on 'Can we give them more money?' No, let's make their lives better. Let's give them more perks, Let's make sure their daily lives are better so they can have the time to go to school and play football and make sure they are on pace to graduating. Money and education. YOU CAN DO BOTH. Have I mentioned that already? Read Shaw's quote again. Carefully. Notice the rhetorical sleight of hand. Money is placed in opposition to perks, graduating and better lives. As if schools are forced to choose between the former and the latter. Does that hold true for any other student? For any other non-student? Do we gnash our teeth when getting salary raises, worried that our lives are about to get worse? Shaw's quote reflects the NCAA's basic strategy going forward: give athletes a bigger slice of the pie. More food, actual-cost-of-attendance stipends, better medical care. But preserve amateurism. Hold the line at granting athletes economic rights. Maintain control of the knife that cuts the pie in the first place. Tell the public -- which is still a bit queasy over the prospect of paid college athletes, largely thanks to 50-plus years of association propaganda -- that the Shabazz Naipers of the world are no longer going hungry, so what's the big problem here? How 'bout you kick back and enjoy March Madness, and let us worry about the rest? The food allowance changes -- those things are great. But just giving an 18-year-old a bunch of money? That is gonna cause more problems than anything else in my opinion. America's employers wish they could apply the same logic to paying -- make that not paying -- teenage employees. Damn labor and antitrust laws! There's also a natural inclination that we all have to protect our young. These are young people. These are people that are growing, so if there are things that are wrong, we want to come to their aid. Unless the wrong involves denying basic economic rights, in which case replace "come to their aid" with "crush your enemies, see them driven before you and hear the lamentations of their women." I completely understand that, but I think we need to look at it pragmatically and systematically also and say that, 'OK, let's see what makes sense and see what doesn't make any sense. Let's make sure that we're not just attacking the NCAA to attack the NCAA. If we need to attack the NCAA on very specific things, which we are doing, great, but let's not let one or two comments make us go completely overboard and end up doing something for these student-athletes that, in the long run, is not going to be in their benefit. Nobody -- not even me -- is attacking the NCAA to attack the NCAA. The association is under legal and cultural siege for running an exploitative economic racket built on people like Shaw deciding that they should have the unilateral right to decide what best benefits college athletes. Way back when I was a student-athlete, we didn't have as many perks as their young people have now. I was never hungry. I didn't know anybody who was hungry. Therefore no college athlete has ever been hungry. Some of my best friends had full stomachs! The guys that lived off campus got money for food, and it's how you allocate that money. The thing with going to college is that you have to learn how to operate within a budget. 'Here's what I'm gonna eat. Here's what I'm gonna eat, and here's where I'm gonna buy my food from. Here's how I'm gonna survive and how I'm gonna thrive.' Those were lessons that you have to learn. Oh, so schools colluding to depress compensation for elite college athletes with demonstrable market value is actually just an elaborate educational exercise designed to teach those athletes how to budget for groceries. Makes perfect sense. I think [that's] one comment from one student-athlete, and I don't know [Napier's] circumstances -- I'd love to know. I'd love to hear how he got to the point where he says he's 'starving,' which is just hard for me to believe based on the scholarship that I know that he has been given. Being on the West Coast, I know what the USC scholarship is. I know what the UCLA scholarship is. I know what the Washington and Washington State and Stanford scholarships are, and I know what those young people get. It's hard for me to believe that there is not enough money to eat. Maybe Shaw should ask around. It's still a zero-sum deal. At Stanford, we have 36 varsity sports. I'm under no delusion that football is not paying for a lot those sports, which is great. I am excited to go to the field hockey games. We go to the lacrosse games. We go to these sports that don't have the money to sustain themselves. We're putting all of our money in a big pool to make sure that all of these student-athletes have the ability to be great in their sport. But now if we're going to add money to it -- well, at a place like Stanford, we'll find a way to make it happen. But if the money increases so much, there's going to be a lot of places that drop sports because they can't afford to because we have Title IX, which is phenomenal. Yep. College sports funding truly is a zero-sum game, so much so that as average salaries for athletic directors at Football Bowl Subdivision schools have risen to more than $500,000 and football coaches have seen their average pay rise $273,000 in 1985-86 to over $2 million in 2009-10, desperate schools have been slashing women's sports programs -- the same programs which reached record highs for number of teams and participants in 2012. We need to have Title IX. We need to treat all student-athletes the same and not just football and basketball players because they play revenue-producing sports. That's just not a smart way to go about it. College athletes already are not treated the same. In non-revenue sports like baseball and soccer, NCAA rules prohibit schools from giving out as many athletic scholarships as there are roster spots, which in turn forces athletes to share partial scholarships. Is Shaw suggesting that his football team do the same? Or that paying revenue-producing sport coaches -- like himself -- more than non-revenue-producing sport coaches via market rates isn't a "smart way" to go about things? Is he offering to take a pay cut to fund more tennis scholarships? Is he in favor of a college sports command economy for all, or just for the on-field workforce, covered by the fig leaf of amateurism? Better question: is Shaw as truly clueless as he sounds, or is he just -- ahem -- misguided?